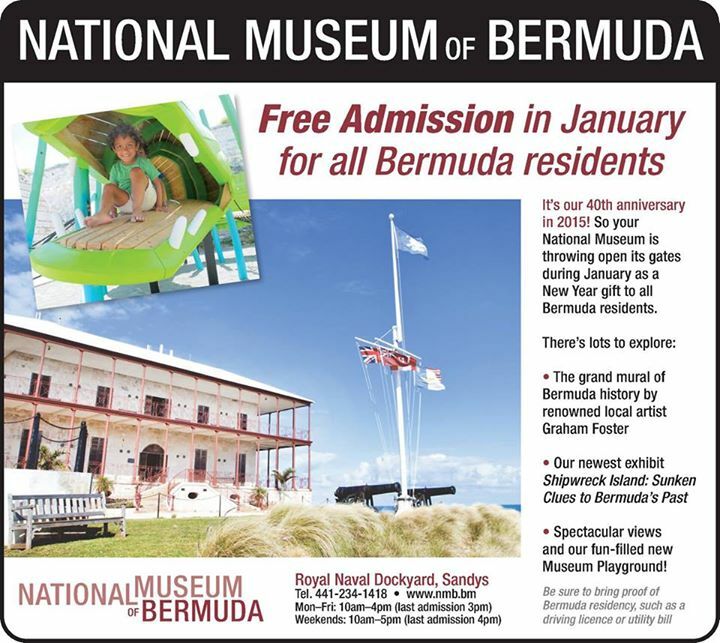 The National Museum of Bermuda has announced free admission in January for all Bermuda residents in celebration of their 40th anniversary, marked by the new year. “There’s lots to explore, including the grand mural of Bermuda history by renowned local artist Graham Foster, our newest exhibit, Shipwreck Island: Sunken Clues to Bermuda’s Past, spectacular views, and our fun-filled new museum playground. For more information, call 234-1418 or visit the website. The Museum is open from 10.00am to 4.00pm from Monday to Friday and from 10.00am to 5.00pm on weekends. Thank you National Museum of Bermuda! !